Stills from Ian Collins, no reproduction without permission. 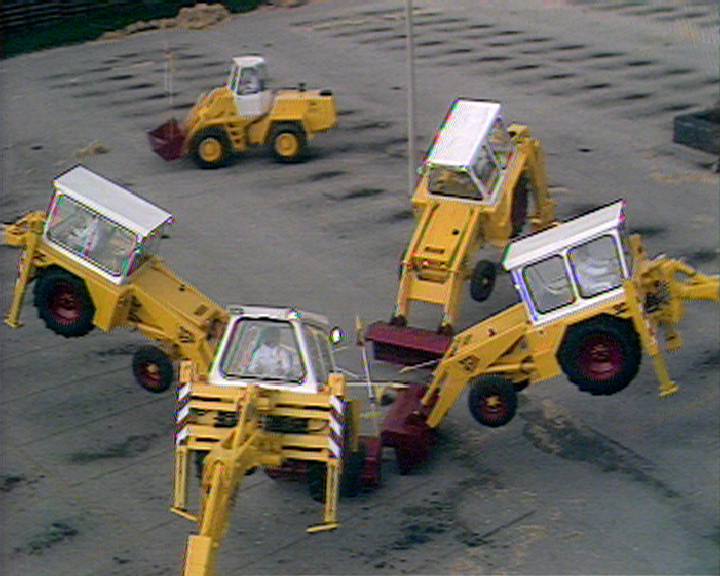 These stills are of the JCB ‘Dancing Diggers’, performing in the back car park at Pebble Mill. They were appearing an episode of Pebble Mill at One. Video editor, Brian Watkiss, thinks they date from the mid 1970s. He remembers them being in the 10th Anniversary compilation – one of his very first jobs in VT!